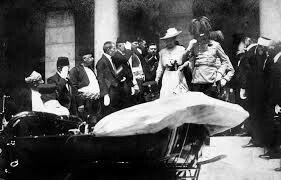 The cause of WWl was the assassination of Archduke Franz Ferdinand and his wife Sophie, on the 28th of June 1914. Franz was the heir to the Austro-Hungarian Empire and Sophie was the Duchess of Hohenberg in Sarajevo. They were killed by the Serbian gang called The Black Hang Gang.The assassination was the trigger of the war, by the great European powers to honour their alliances and look after their own country. By the 4th of August all the European powers including Serbia, Russia, France and Britain on one side, Germany and Austria- Hungary on the other side, were at war. 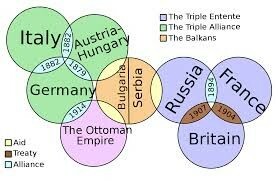 During the war other countries changes sides, such as Italy who changed to Serbia's side. Also many other countries such as Australia joined later on. Australia was apart of the British Empire, because of this it meant that Australia was immediately committed into the world war. 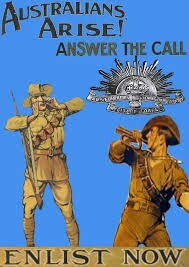 Many Australian men were quick to enlist expecting to look for a 'great adventure'. The significant battles of the war that the Australians were involved in was The Western Front, which was a main theatre for WWI. Another significant battle of WWI that included the Australians was in Gallipoli. 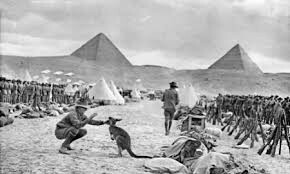 The Australians landed on the Gallipoli peninsula in 1915. They were there was 8 months with nothing achieved and Within 24 hours almost 1700 casualties were evacuated. The impact the Australians had on the war was quite significant. Their theory of a 'great adventure' had changed everyone's perspective of going to the war and it was harder to find new solders. The solders that made it through the war returned home mentally and physically scarred. The significance that ANZAC day has on Australian is quite significant. On the 25th of April every year we remember the day that the Australian men and women landed in Gallipoli and fought for us in world war I. Also on November the 11th it is remembrance day, we remember the men and women of this great war and there is a serves and a minutes silence at 11am.